New Delhi: Two major apex bodies of news broadcasters, The Indian Broadcasting Foundation (IBF) and National Broadcasters Association, expressed concern and disappointment on the Supreme Court’s recent decision of dismissing the ‘special leave petition’ filed by Times Now, the English news channel of Times Global Broadcasting Co Ltd, the subsidiary of Bennett, Coleman and Co Ltd.
A press release issued by IBF stated that such punitive damages in a legal environment were rare and raised concerns on the media’s freedom of speech and expression. NBA noted that the damages were “unprecedented" especially given that Times Now had issued a public apology after it committed the error. Earlier this week, the Editors Guild of India had also expressed its concern at the implications of the Supreme Court ruling. The case was filed by P.B. Sawant, former Supreme Court judge and chairman of the Press Council of India from 1997 to 2001, for erroneously carrying his photograph instead of that of retired judge, P. K. Samantha, in a 10 September 2008 story on the channel on a provident fund scam. 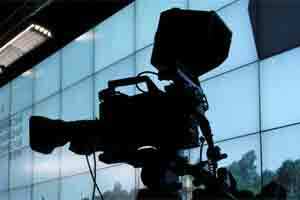 A Pune district court had ordered the news channel to pay Sawant Rs100 crore as damages. An apex court bench comprising justices Ganpat Singh Singhvi and S.K. Mukhopadhaya dismissed the channel’s special leave petition on 14 November.